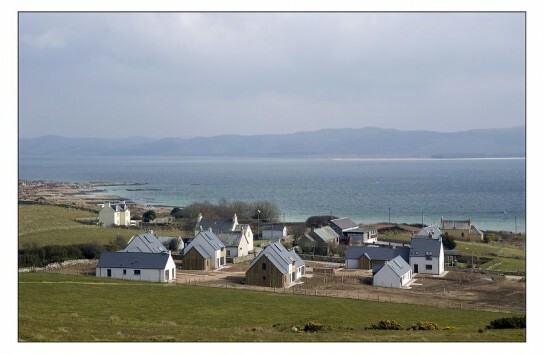 Hurleypalmerflatt’s Energy & Sustainability Consultancy, as part of the Gigha partnership, has won the Affordable Housing category at the Scottish Design Awards 2008 for Fyne Homes & CP Architects Gigha project in West Scotland. The sustainability consultancy was led by David Telford, previously at Factorten which merged with hurleypalmerflatt this year. The project redeveloped a brownfield gap site to provide 18 houses near to the island’s main population centre at Ardminish. 14 homes are rented and 4 are for shared ownership. They range from one to four bedroom houses in a mix of detached and semi detached properties. 15 existing houses on the site were also refurbished as part of the project. 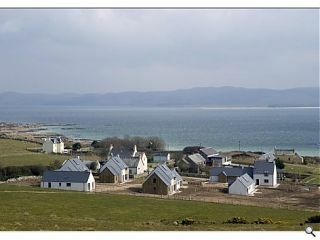 When the scheme completed in April 2007, it represented the first social housing project in over 60 years on the island. It was significant both in the application of sustainable design in a remote location, and in its commitment to the ideals of the 1998 Egan Report “Re-thinking Construction”, embracing the principles of partnering. The design incorporates solar panels and passive solar gain, which were innovative for the island location, to deliver the majority of the residents’ hot water needs. There is under-floor heating, a reed bed sewage system and sustainable products such as larch timber were specified throughout. Most importantly, three wind turbines (Faith Hope & Charity or the Dancing Ladies as they are locally known) supply both electricity and an income to the islanders. This has significantly reduced bills and has helped to combat fuel poverty. To construct the houses, a consortium of local contractors pooled resources to be the main contractor. During the construction phase, materials were procured and transported in bulk to minimise energy use and avoid difficulties due to logistics in bad weather. The Gigha Heritage Trust was paid to store the materials. The quarry on the island was also used to provide a significant percentage of the aggregates required, leading to cost savings and environmental benefits. David Telford, director at hurleypalmerflatt and former director at factorten, said: “This project was an amazing success, for the island and its community, for Fyne Homes, and for the partners involved. Not only did the project deliver high quality new homes but it was also an excellent example of partnering and management. This development has been put forward for a Saltire Award, has been shortlisted for the Sustainable Housing Awards to be announced in November, has been given Demonstration Project Status by the Scottish Construction Forum as a model of best practice. The project is also part of a Sustainable Rural Housing Initiative.